Not Every home is big enough for the people living there and there is often the need for more space as buying new items and equipment all year round is inevitable. People need their homes to feel welcoming and spacious, not cramped and full of clutter. 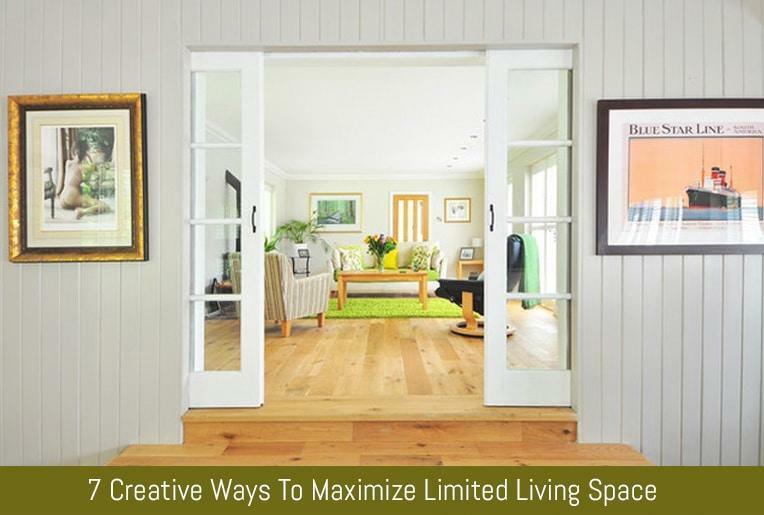 Below are some of the ways to maximize a limited living space without great expense or major renovation. Room dividers can be used instead of walls and this helps to save on floor space and breaks up your living area into defined sections. Larger items of furniture like dresser or curtains and glass wall dividers can be used by a homeowner to open up the living space in a house. Sliding walls are also effective and can replace the use of doors in some cases. The space under the stairs is mostly big but many homeowners do not utilize that space at all. It can be used creatively for reading, storage or any other convenient use. You can cut down standard shelving units to fit or splash out on some made-to-measure under-stairs sliding drawers. Small lofts with different shapes and sizes will help maximize space. A bedroom loft design is the most common loft idea. They are always the perfect solution for small homeowners who need additional space. The floor space is put to use rather than just gathering dust and this opens up the house generally for more living space. You don’t even need to spend a lot of money on flooring either as simple loft panels can be slotted together to provide cheap and sturdy flooring. Large windows let in more light than smaller windows. More light in the house opens up the rooms and space looks more open and free. If you don’t have a lot of windows, or the room is quite dark, there are some tips for bringing in more sunlight using mirrors, careful placement of furniture and using light curtains. Choosing furnishings that use minimal space but offer maximum functionality should be prioritized. The homeowner can opt to skip the luxury of a full dining room set and use bar stools instead to spare some living space. One sofa or apartment sofas which have a slimmed-down design are purposed to save on floor space especially if the homeowner does not intend to be entertaining a ton of guests. This washer dryer takes up less space than the big bulky traditional washing machines. This creates more room for the user to do other things in the laundry area such as hanging clothes on indoor hanging lines and folding of dry clothes. The less space used by most stackable washer dryer gives more room for the user to move around the laundry area which makes laundry easy and enjoyable. The stackable washer dryer also leaves space for you to store laundry supplies such as fabric softeners, scrubbing brushes and washing detergents. Out-of-season apparel can take up most of the closet space. During summer, winter gear can be folded and stored under the bed to free up the closet until the season returns. The same should also be done for summer clothes when winter rolls in. Vacuum bags help you to store a lot of clothing in a smaller amount of space* and are well worth the investment. Bulky dressers can eat up most of the bedroom space and some parents opt to stow away children’s clothing in storage containers*. This leaves enough space in the bedroom to be used as a playground by the children. The above tips will help create more space in a variety of rooms which makes a homeowner move around easily and get enough storage for new items without the need to throw out too many older items. *This post contains affiliate links. You will not be charged any extra for purchasing items through these links but we will make a small commission which goes towards running the site.